Home » Blog » Business » Android to pay to launch in the UK next month: Can it rival Apple? Despite minimal payment limits and security concerns, Apple Pay has taken the consumer market by storm since its release in the UK in July 2015. Offering convenience and a flexible payment solution to consumers, Apple Pay has revolutionised consumerism while enabling brands and service providers to drive sale conversions. With this in mind, the upcoming launch of Android Pay is likely to add a new dimension to the consumer market. It also marks a new chapter in the rivalry between Apple and Google, which continues to define the contemporary technology market and its dominant products. When will Android pay hit the market and how will it impact the status quo? According to reports, Android Pay will make its UK debut at the end of March, after a previous attempt failed due to minor tech issues. The platform, which was rolled out successfully in North America last September, is now ready to hit the British market and is set to go head-to-head with Apple’s alternative. This will provide a huge boost to the burgeoning mobile payments industry in the UK, with Android smartphones currently accounting for more than half of all smartphones sold in Britain. Essentially, it will open up the market to a huge target market, driving a higher volume of mobile sales and diversifying domestic (and international) consumerism. The technology behind the platform works in a similar way to Apple Pay, as users are encouraged to load their debit or credit card details onto the NFC microchip in their smartphone. This is also excellent news for customers, as a larger number of consumers will have the opportunity to access flexible payment solutions. Can Android Pay compete with its Apple rival? A wider issue is the competition between Apple and Google, as these two similarly payment solutions go head-to-head. Apple currently holds a huge advantage in the UK market, having been rolled out sooner and had an opportunity to already establish itself nationwide. It is also more secure, with the installation of fingerprint encryption through the iPhone’s Touch ID home button making it almost impossible for thieves to authorise payments. 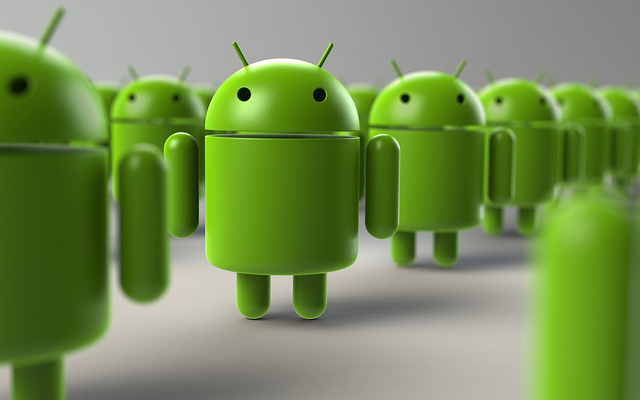 Android’s platform is certainly not as secure, while it has also been previously targeted by hackers. Although the integration of a token-based system may help to improve the existing level of security, Google may need to sell their new platform and reinforce its appeal. One potentially decisive factor, however, is the flexibility of the Android operating system and the diversity of compatible handsets on the market. While Apple Pay is only accessible through the iPhone, Google can market its payment solution to a larger and more diverse consumer base (many of which fall into the budget category). This could ultimately give Google and Android the edge, especially over an extended period of time and once the new platform has had the opportunity to become established among British customers.